it is inevitable that I end up conducting a fair bit of HIV screening. the importance of HIV screening and HIV treatment. help prevent themselves from being infected with HIV. 15. 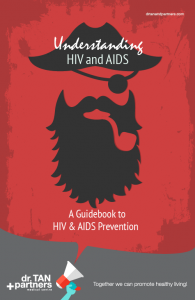 AIDS Phobia – The New HIV? Circumcision in preventing HIV transmission? Hi, my english is very bad, so I hope you understand me… I tested negative for HIV at 4 months since my last exposure and the first one, but i’m still very afraid… the method was “ECLIA” 4th Generation. It is accurate a result by this method in Mexico? or I have to wait till 6 months or in worse case scenario: 1 year? I also tested for hepatitis a,b & c all negatives at 3 months one week and I also have a VDRL negative at 4 months 1 week. Please answer me, thanks for your attention. Your test results are conclusive. In my opinion, you do not need further testing. However if you are concerned, consult your doctor who did the test for you.